On Friday, June 24, from 6-10pm, the Women’s Museum of California will host its 9th Annual Wine & Music Festival at the North Promenade Lawn at San Diego's Liberty Station in Point Loma, giving guests the opportunity to enjoy summer sips, culinary delights and rockin’ performances by several live bands playing a wide range of music from originals to classic favorites. We are raffling off 2 VIP tickets as well as offering promo code SDVILLE for $5 savings per ticket. Celebrate the first weekend of summer at the 9th Annual Wine and Music Festival, where this year’s tasting options include special selections from San Diego’s favorite spots, including small plates from Solare Lounge and Banyan Kitchen, artisanal chocolate from Chi Chocolate and sweet delights from Addison’s Candies. 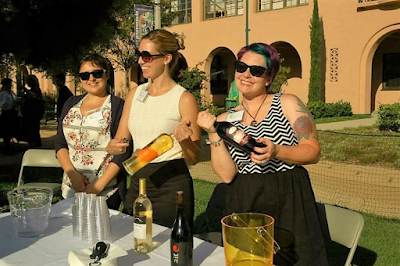 Participants can pair their delicious eats with fine wines and craft brews from Barefoot Cellars, Ballast Point Brewery, and many more, all while listening to groovy tunes and classic rhythms all night long. "The Wine & Music Fest is the museum’s only annual fundraiser,"said Women’s Museum President Hannah Cohen. "It supports the cost of educational programming and original exhibits. By attending this event, you make our programs possible." 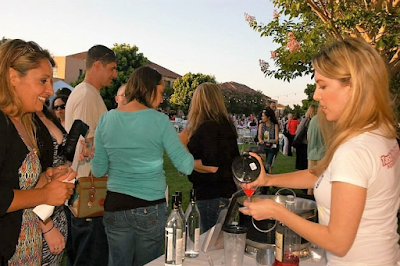 General Admission tickets to the Wine & Music Festival are available for $35 and include a seat in the concert area and six tastings from local wineries. VIP Tickets are also available for $75 and include a seat at a VIP table near the stage, two bottles of wine per table and an invitation to the VIP happy hour hosted by Council members Lorie Zapf and Barbara Bry at 5pm. Tickets are available online and promo code SDVILLE saves $5 per ticket. The Women’s Museum of California is an almost completely volunteer-run nonprofit organization that features a variety of changing exhibits on women’s history and accomplishments, sponsors monthly cultural and educational programming, maintains a library and research archive, and provides speakers and exhibits for schools, libraries and community organizations. It is the only dedicated Women’s Museum in the state of California, and one of only five nationally. 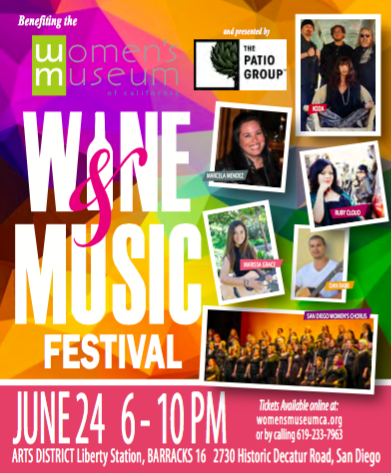 For more information on the Women's Museum of California Wine & Music Festival and to purchase tickets, visit womensmuseumca.org/event/9th-annual-wine-music-festival.